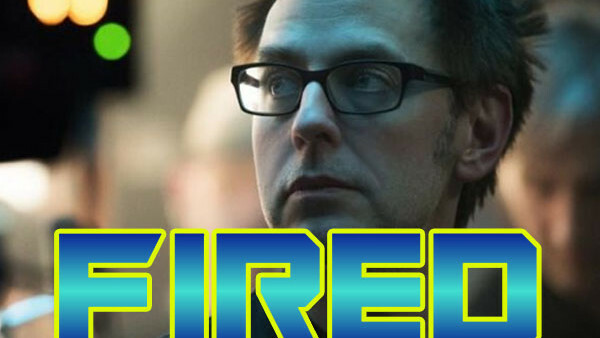 James Gunn FIRED From Guardians Of The Galaxy Vol 3! James Gunn's Twitter feed might well have ruined Marvel and Disney's plans for the future of the MCU. The director - who made both Guardians Of The Galaxy movies brilliant and was set for a key role in expanding the cosmic side of the MCU - was just fired from the Guardians threequel when some of his old Tweets surfaced. The offending Tweets were mostly of one unifying theme: offensive jokes designed to provoke. Not something Disney would be a fan of, clearly. According to Fox News, the Tweets were brought to light because Gunn is an outspoken critic of President Donald Trump and he apparently deserved to be knocked down a peg or two. And another: “The best thing about being raped is when you’re done being raped and it’s like ‘whew this feels great, not being raped!’” Additionally, he made jokes about the 9/11 attack, AIDS and the Holocaust. Pretty much all of the Do Not Joke About This categories. While his fans will probably be forgiving for the most part, there's no way Disney can be seen to be tolerant of that sort of public behaviour, so it's no surprise they moved quickly to remove him. “The offensive attitudes and statements discovered on James’ Twitter feed are indefensible and inconsistent with our studio’s values, and we have severed our business relationship with him." So now Marvel Studios have to move on and hire someone to take Gunn's script and characters and complete Vol 3, which will follow Spider-Man: Far From Home in Phase 4 of the MCU.